The Travelon RFID Blocking Leather Envelope Card protects your identity and carry your RFID enabled credit and debit cards securely with this RFID blocking leather envelope card holder from Travelon. 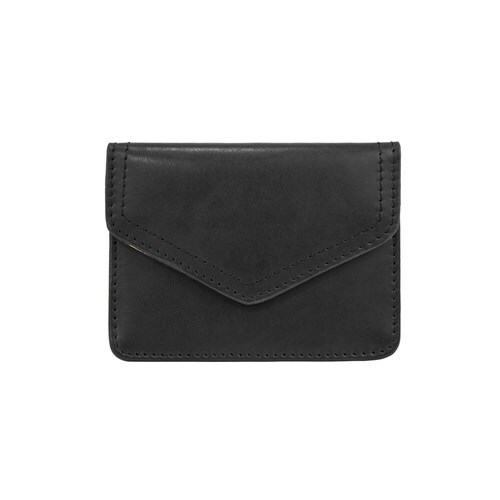 The holder features a snap close main compartment and an outer card slot for frequently used cards. Colorful, floral print lining. The Travelon RFID Blocking Leather Envelope Card Holder-Black has many exciting features for users of all types. You can extend the lifetime of your Travelon RFID Blocking Leather Envelope Card Holder-Black with the purchase of a FactoryOutletStore Factory Protection Plan. 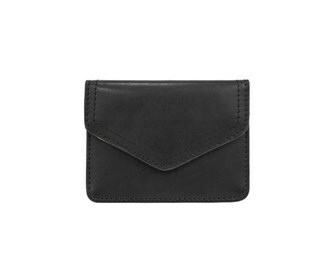 The Travelon RFID Blocking Leather Envelope Card Holder-Black is sold as a Brand New Unopened Item.